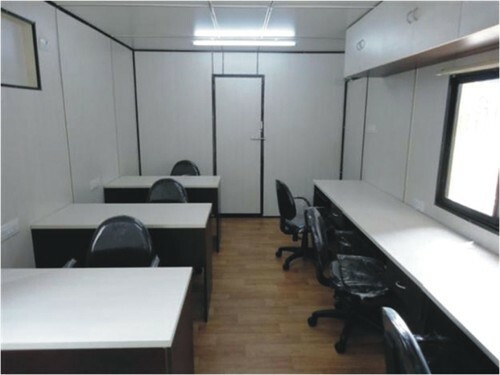 We are a leading Manufacturer of miscellaneous office bunkhouse from Vadodara, India. We offer Miscellaneous Office Bunkhouse, which are favored for their durability and portability. Our range is manufactured under the supervision of experienced technocrats and architects, who have been engaged in this industry for the longest time. Each of our items bears the hallmark of quality and may be availed from us within a reasonable price range. Tightly airproof, heat insulated and preservation, waterproof, resistant to fire and moisture proof. Easy assembly and disassembly, flexible layout, green and environmental friendly. Beautiful in design and structure. Color-coated steel sheet used in and out of the house. Space saving for container shipping. Material and labor extremely cost-efficient. Looking for “Miscellaneous Office Bunkhouse”?